From sea to sea or as it appears on our Canadian Coat of Arms ‘A Mari usque ad Mare’. This makes sense when you consider that Canada’s coastline stretches over 71,000 km (16,000 mi). There’s plenty of opportunity to see Canada’s spectacular sights from the vantage point of a sea kayak. 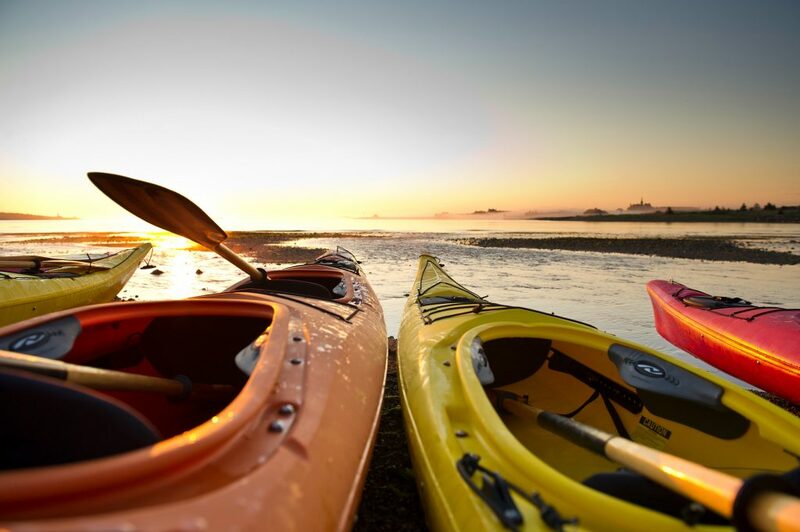 Whether you’re on the mainland n the Island, sea kayaking is a serene and scenic way to explore the West Coast. Rent one on your own, or novices can take a guided tour. We love the pristine, warm waters of the Gulf of St. Lawrence. It’s a peaceful paddle alongside the stunning beaches of PEI National Park. Our country’s east coast encompasses six diverse provinces. that‘s a whole lot of kayaking potential. Newfoundland, Nova Scotia, New Brunswick - dip your paddle in the sea - you never know what you’ll discover. You’ll have to pinch yourself as you paddle the waters of Qikiqtarjuaq in an inflatable kayak. We love this remote area for its plentiful, rare Arctic wildlife. The landscapes of the North are breathtaking. Even more exciting is to be one with the land and sea. Kayaking is the perfect northern activity to explore these parts. It’s exhilarating to feel you’re one of the few who have traversed these remote waters, and the thrill of seeing the Arctic wildlife will never leave you.